BEST Corner Key Kit Jack Richeson & Co. These innovative corner keys can be used to tighten and loosen canvas stretcher bars even if the bars are not keyed for stretching. 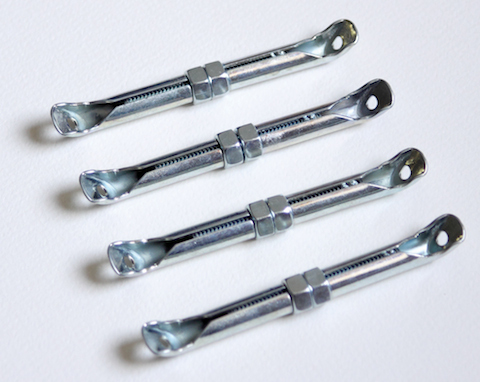 Each kit contains a set of four keys which can be mounted on wooden stretcher bars (pre-drill with a 3/32" drill bit). Just tighten (or loosen) the center nut to adjust the tension.